Hello everybody! Here I will post my progress on my entry for the Rainbow Jam 2017. Added a Quit Button, and now the Start Button loads up the Level 1! Changed the background of the level to Dark Grey, and made the movement really smooth. (Don't let the laggy GIF fool you! ), also you can now only jump if you're touching the ground. - Added a little more stuff to the first level, but it's still an early prototype and it will most likely change. I have been working on the Menu Sounds. Now the Start Button and the Quit Button will play a sound when pressed. Added a little Level Select menu, now instead of instantly jumping into the game when you press the Start Button, you land here :). - Now when you jump a sound will be played. + Super smooth GIF for your eyes! - Now when the Timer hits 0, you can Press R to Restart the current level you're in. New Build Released with everything in the DevLog! 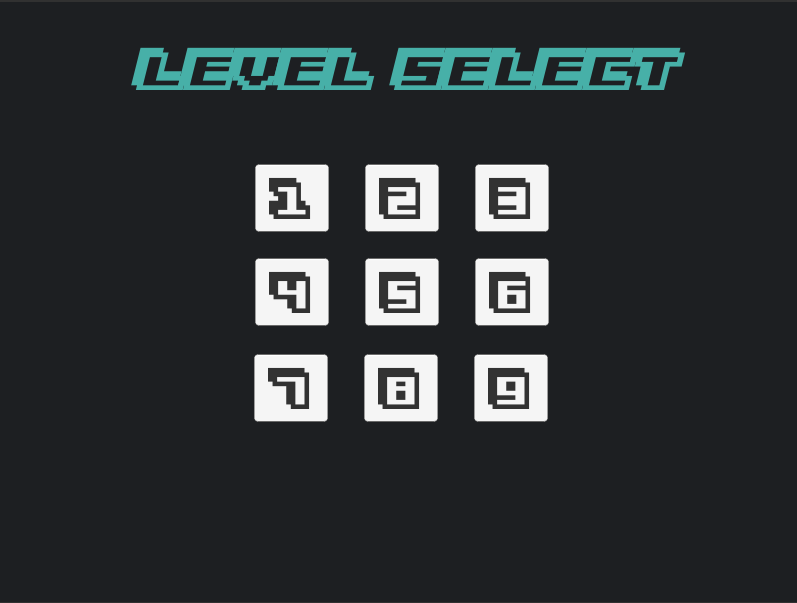 - Added a "World" Select in the Level Select menu. - Every colour now his own Special Abily. Red : Movement Speed decreased but Jump Height heavily increased. Blue: Is affected a lot less by gravity, giving him the possibility to float in the air. - You can now change between "Worlds" with the Arrow keys. + Work In Progress: Fade in & Out of Music when changing worlds in the Level Select. A build with everything currently in the DevLog has been published! - You can change colors with the "0", "1", "2", "3" buttons on your keyboard (you can use the number pad as well). - Updated the Splash Screen, now it shows the Rainbow Jam logo. - Now a sound will be played when changing Worlds in the Level Select Menu. - The Main Jump sound has been changed. - Now the Double Jump has a sound of it's own.